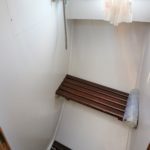 LOA (Metres/Feet): 9.44m / 30' 11"
Draft (Metres/Feet): 0.76m / 02' 06"
Beam (Metres/Feet): 03.35m / 10' 11"
Air Draft (Metres/Feet): 2.13m / 07' 00"
SHEERLINE 950 – 1993 – Nanni 43hp diesel engine. 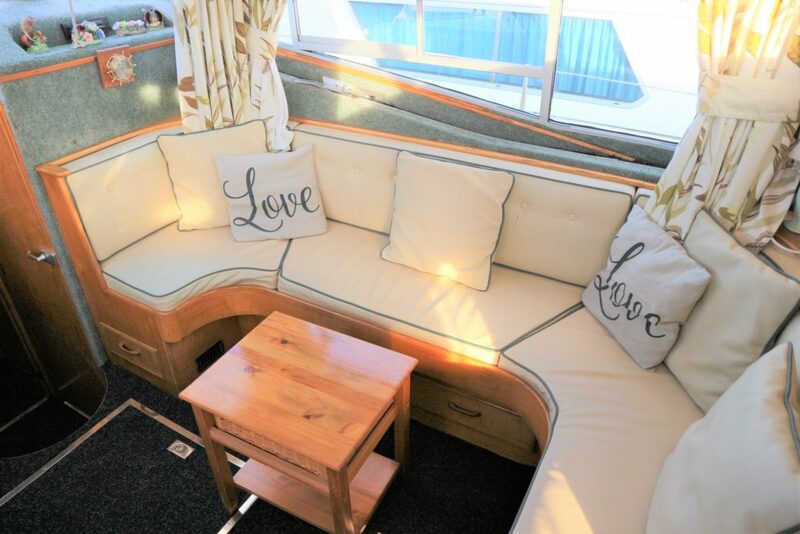 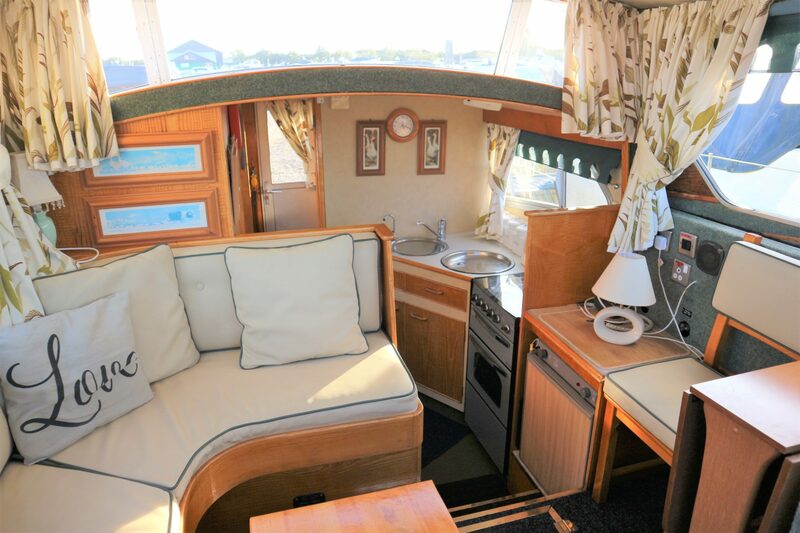 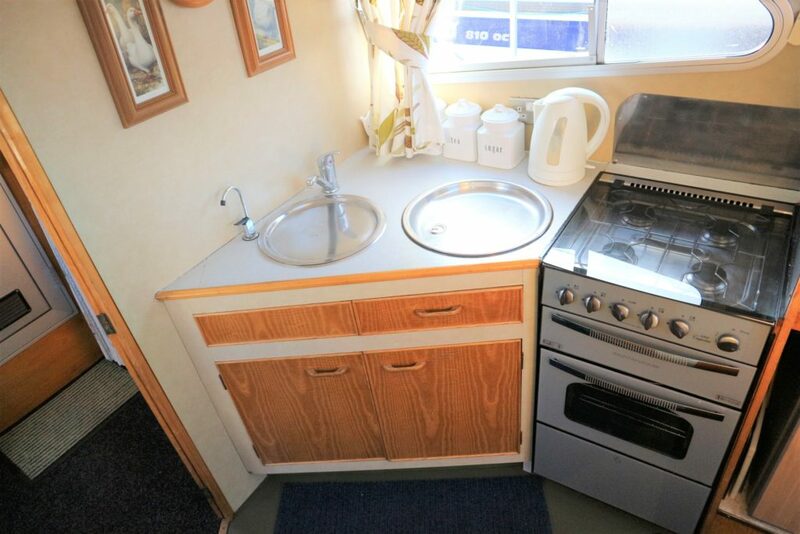 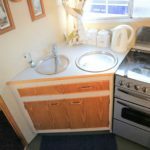 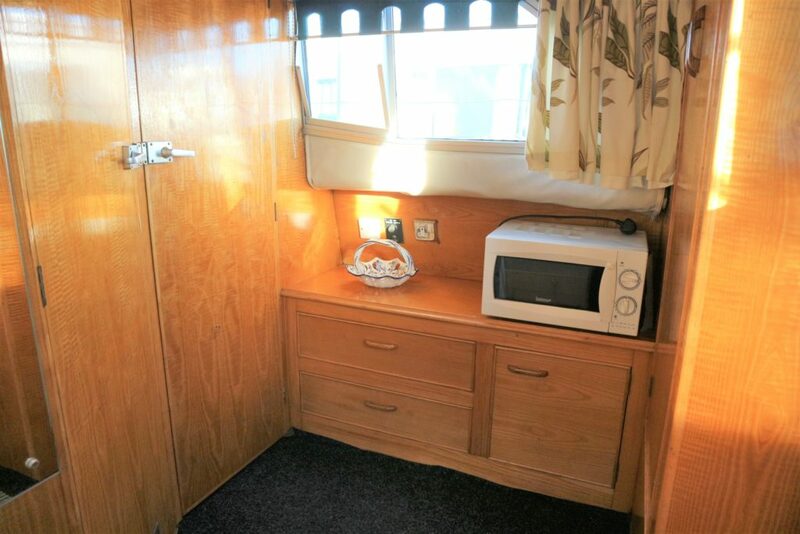 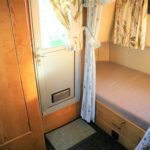 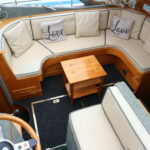 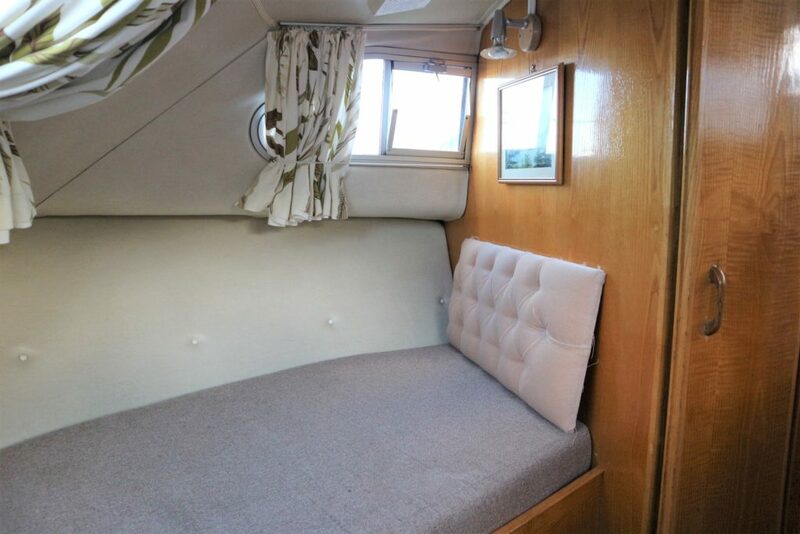 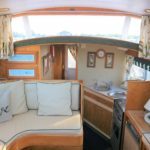 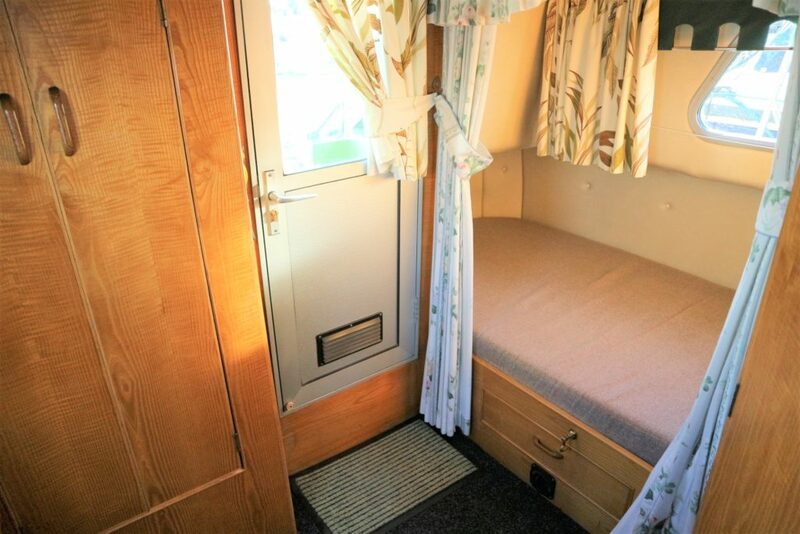 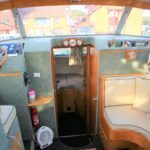 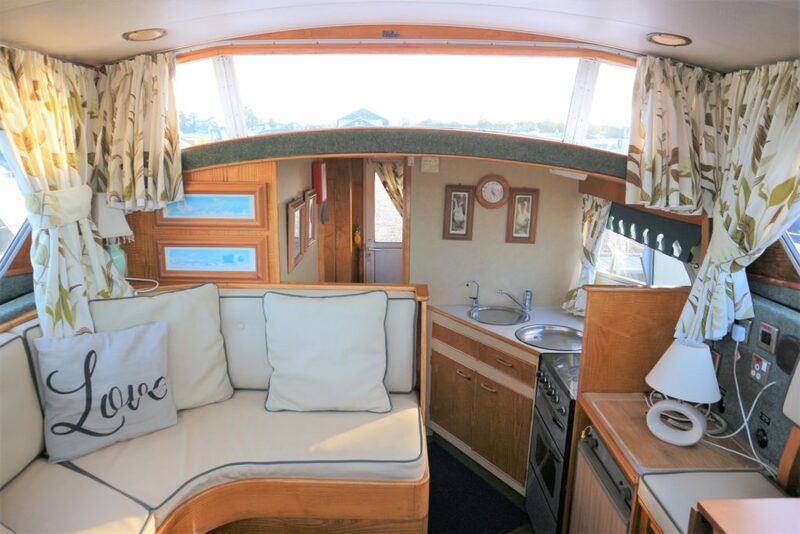 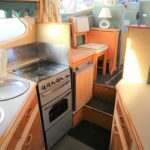 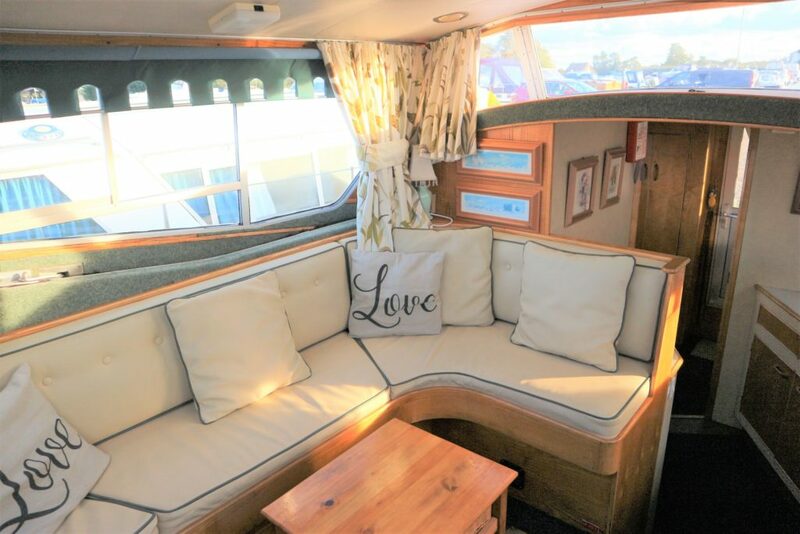 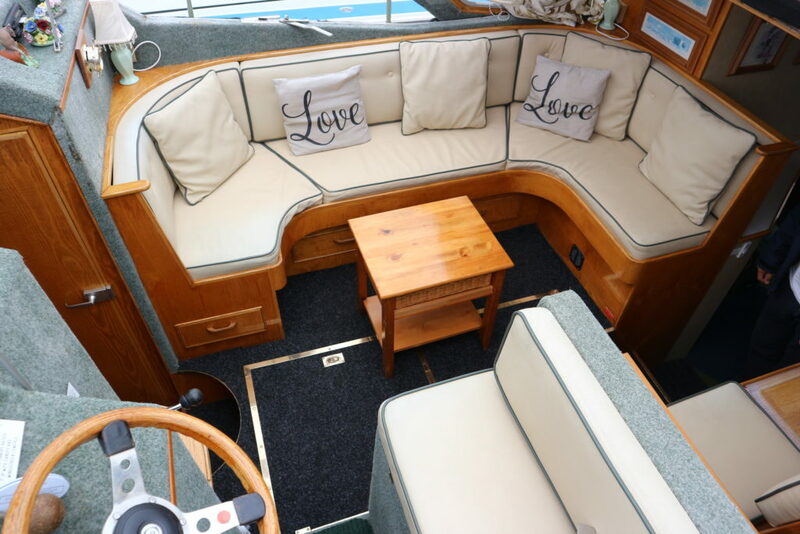 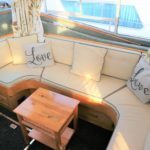 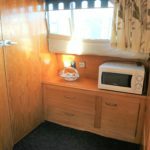 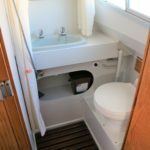 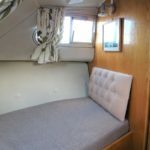 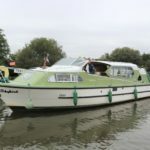 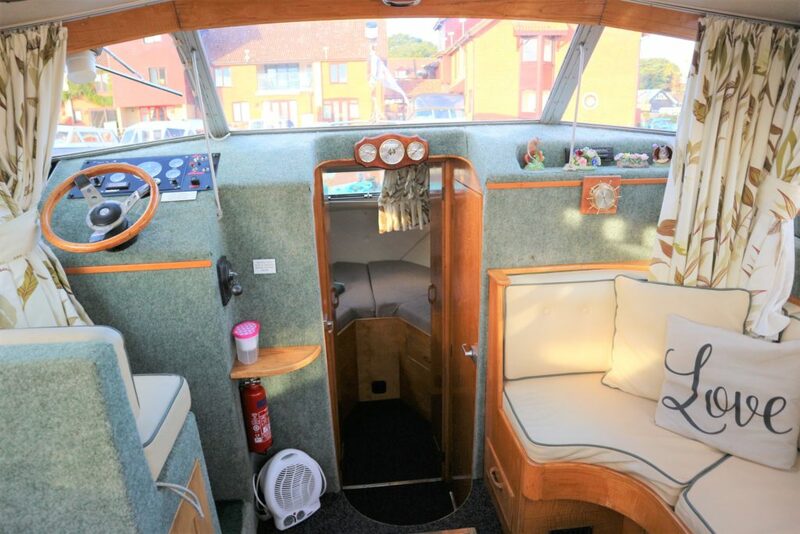 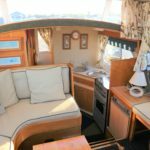 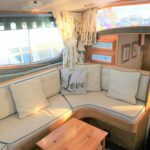 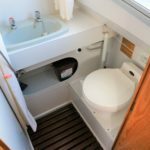 4 berth accommodation in two cabins with 2 x toilet/ shower compartments (one separate shower), full galley inc microwave, warm air heating, shore power, immersion heater, BSC 2021, Copper coated hull bottom, manual sliding wheelhouse roof. 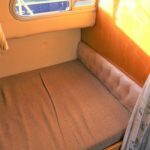 Engine serviced annually. 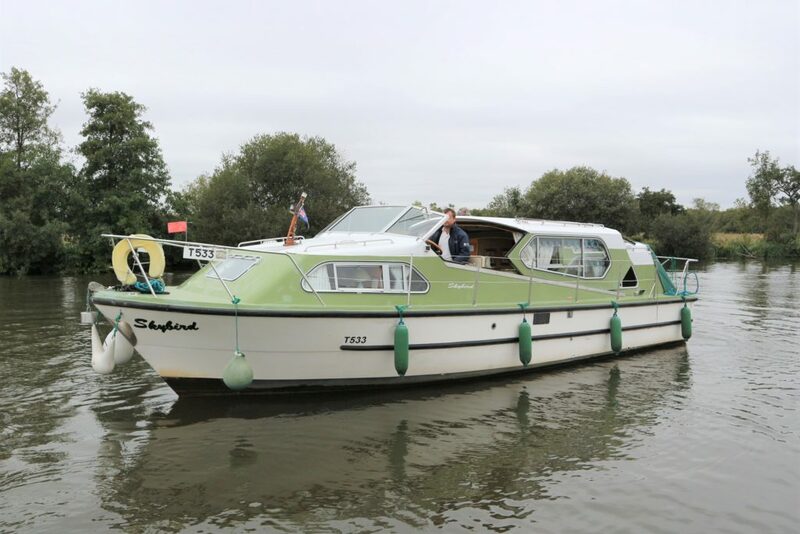 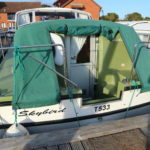 A popular model well presented and ideal for cruising the inland waterways, boasting a low air draft and spacious interior. 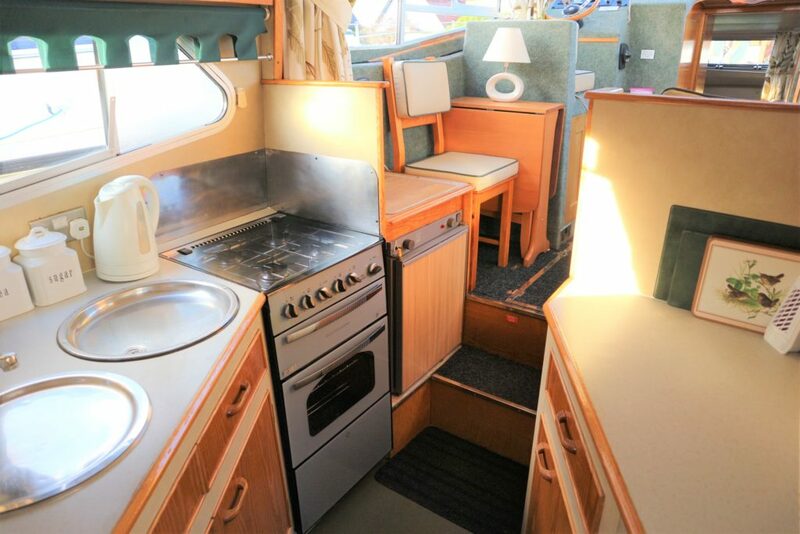 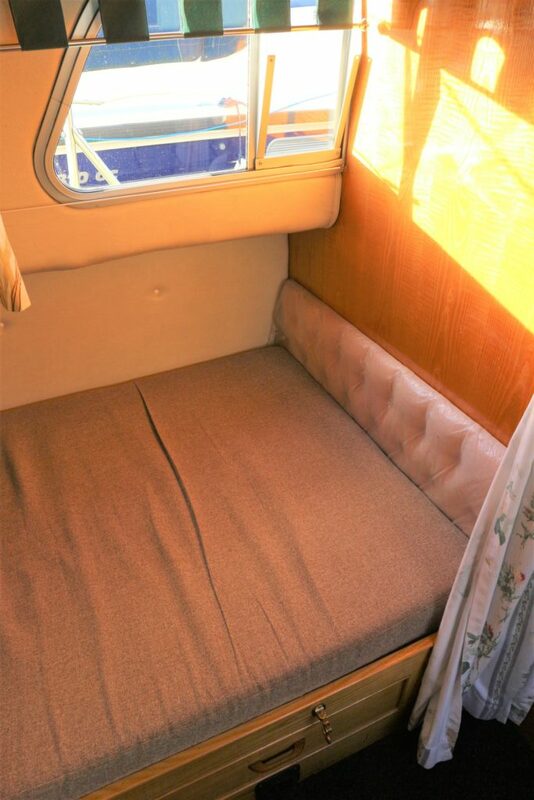 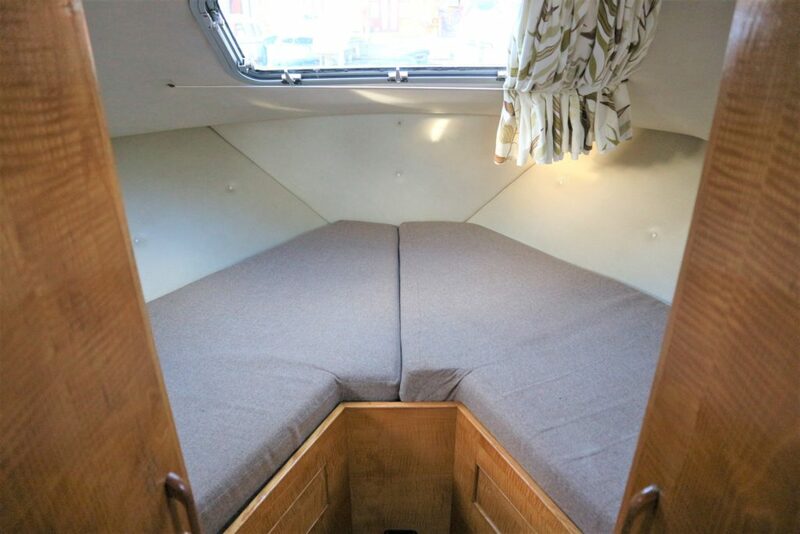 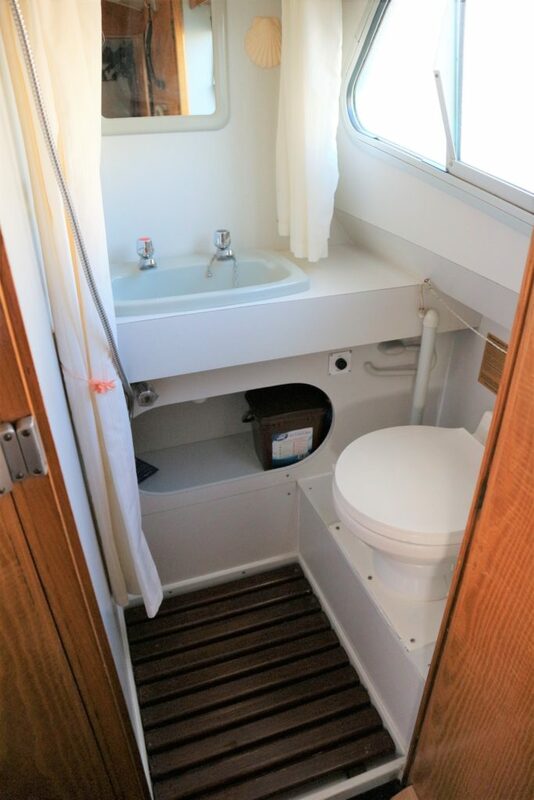 Air Draft (Feet): 07' 00"
A well equipped galley area with good storage cupboards and work surface area. 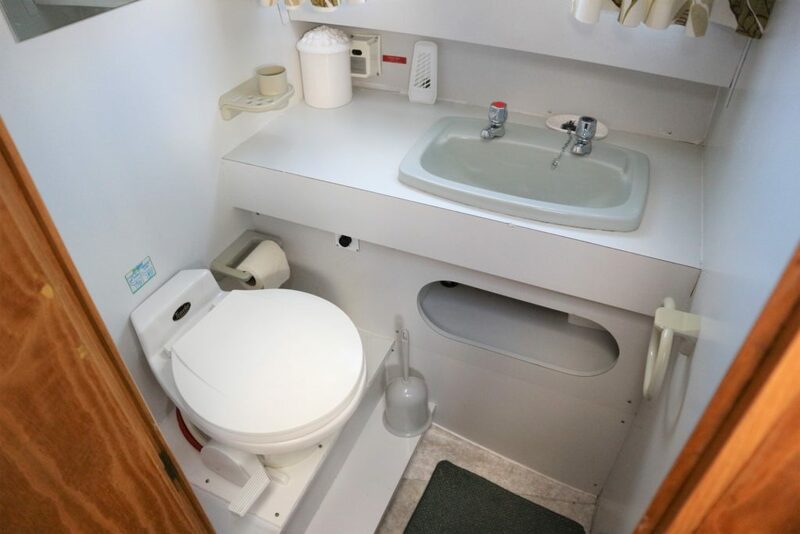 Traveler pumpout toilet, hand basin with hot water supply, mirror and shaver socket. 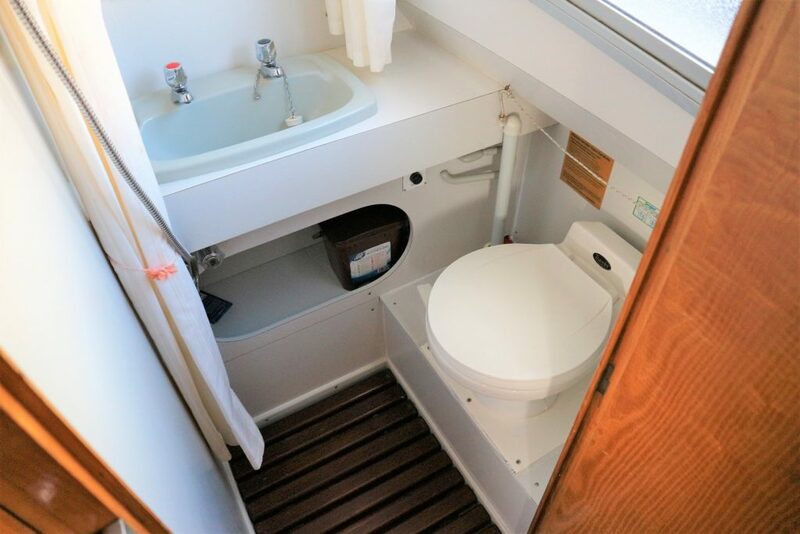 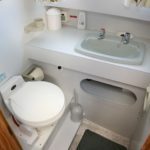 Full size compartment with seat located on the port side opposite the toilet compartment. 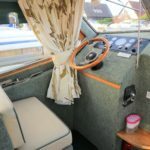 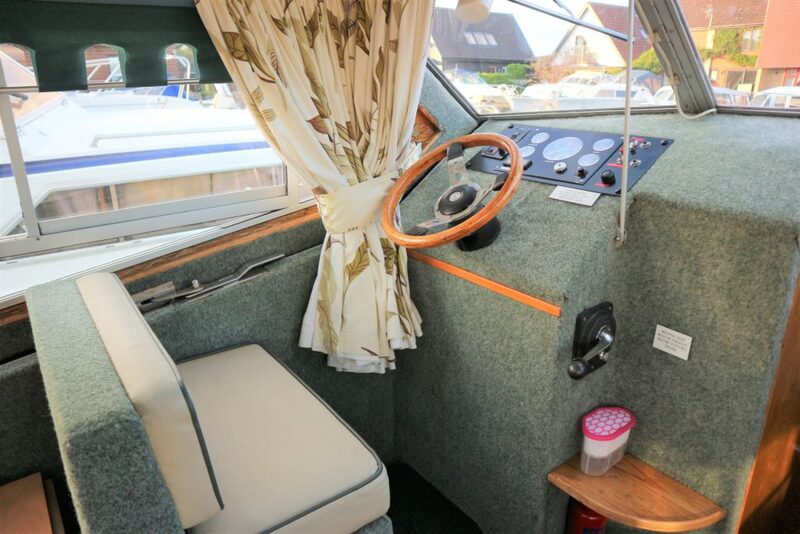 Helm position port with engine instrumentation, U shaped seating starboard with drop leaf dinette table and additional free standing chair (both stow away bebind the helm position when not required). 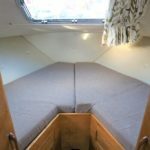 Full double berth on the port side with drawer storage under, hanging locker and further storage on the starboard side. 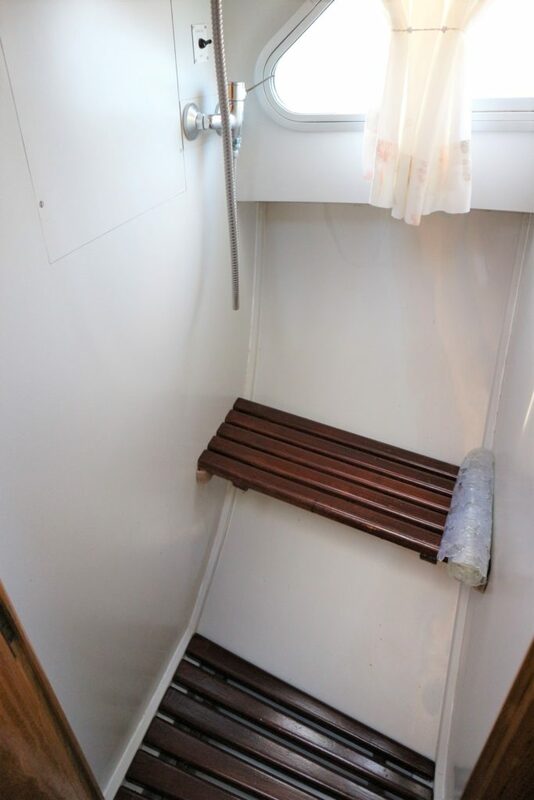 En-suite toilet compartment with shower. 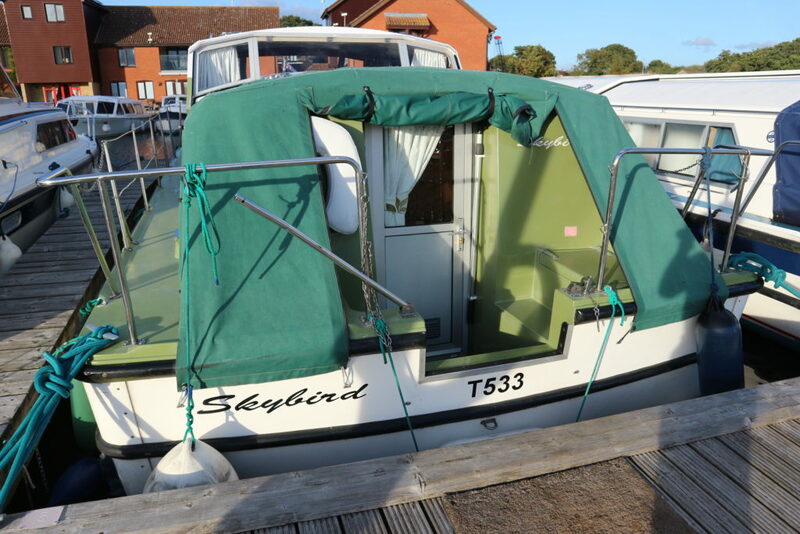 Skybird has been in her current ownership for the last 16 1/2 years.